Would you fight for your right to rule? 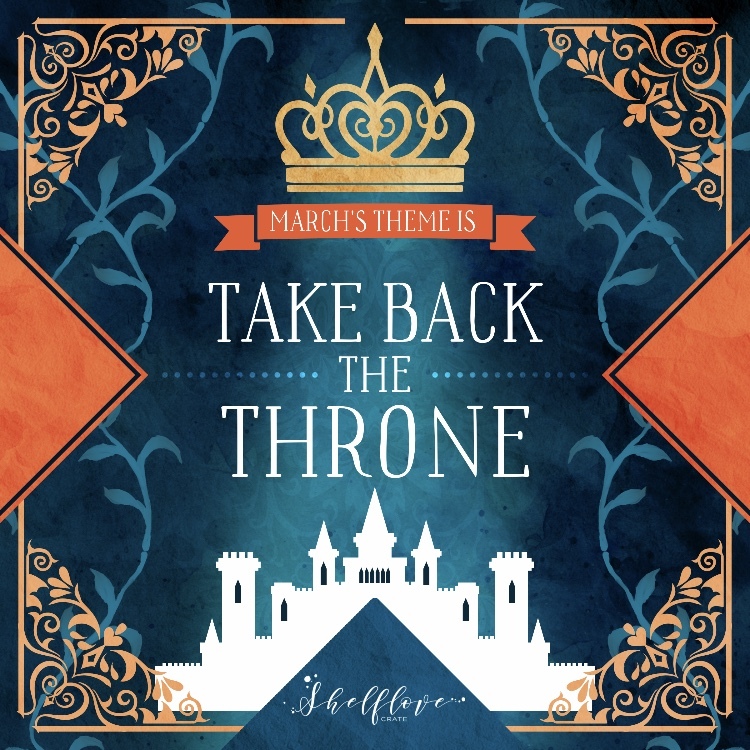 Our March TAKE BACK THE THRONE box features characters who’s epic journeys ultimately lead to their rightful place ruling their kingdoms. Some will succeed, others will not. -Fandoms include: Game of Thrones, Furyborn, The Lunar Chronicles, Three Dark Crowns and The Cruel Prince. - Our March book of the month will be BLOODLEAF by Crystal Smith. It’s an epic fantasy with a mystery at its core. A young princess with a gift for magic is destined for an unhappy marriage when events force her into hiding. Now she must choose whether or not to fight to reclaim the kingdom in her family’s name, or remain hidden to save her own life.